Weekly Update 43 – How not to use primary sources, and some praise of Dabney! Well I’ve finally managed to get some writing done on my thesis this week. The chapter I was meant to have finished by the end of January (The Free Offer in Reformed Creeds up to Westminster) is now around 50% done. “It is one thing to will reprobates to come, i.e. to command them to come … another to will that they should not come, i.e. not to will to give them the power to come.” (Turretin, Institutes, 15.2.15, P&R ed 2:507). “It is one thing to will reprobates to come, (i.e. to command them to come and to desire it) another to will that they should not come, i.e. not to will to give them the power to come.” (Turretin, Institutes, 15.2.15, P&R ed 2:507). So the author is making a case that Turretin denies that God desires the salvation of all men while knowingly excluding from a quotation Turretin’s explicit statement that God does (in some respect) desire the salvation of the reprobate. Is this a responsible handling of the primary sources – simply excluding material from quotes which don’t fit the polemic case at hand? Now, I’m sure the author had his own understanding of what Turretin meant by “and to desire it” and would explain the phrase accordingly but to simply exclude it from the quotation seems unhelpful to me. [I have left the author anonymous here, though of course I can’t do this in the actual thesis]. He [Girardeau] and Dr R.L. Dabney did not agree on every point in theology, nevertheless they were warm personal friends. They had been chaplains together in the Confederate army, they were recognised as the two leading theological teachers of the Southern Presbyterian Church, and in most public controversies they were in harmony. When, therefore, Dr. Dabney, himself afflicted with blindness, heard of the partial paralysis of his friend, he came to Columbia to visit him. Their communion was sweet and in a measure the spirit of other days seemed to come back on them. On Sunday, Dr Dabney preached to the large congregation… on the power of love. The sermon was one of extraordinary power, and when he came in his discourse to the love of Jesus for his aged servants many in the congregation were weeping. Dr. Girardeau himself was deeply moved, while the hearty congregational singing, unaccompanied by any instrument of music, seemed to greatly affect Dr. Dabney. When the service was over the two men came down the aisle together; they were men of imposing presence, each like the son of a king; their faces showed the influence of chastening grace; their foreheads betokened the mighty intellects behind them; venerable men! dignity, goodness, and greatness sat with ease and naturalness upon them. Dr. Girardeau said: “Doctor, that was a glorious sermon this morning.” Dr. Dabney replied, “This has been a sweet service to me, and the singing carries me back to old Tinkling Spring.” Dr. Girardeau said: “But what will it be in heaven?” The answer of Dr. Dabney was lost in the trampling of the congregation. And so blind, and lame these princes of Israel walked on, talking of the past and future worship of God. A few months after this meeting they both joined the general assembly and church of the first born in the majestic worship of their God and Saviour. George Blackburn, The Life Work of John L Girardeau, Columbia: The State Company, 1916, 367-8. Like I said, very moving. I came across an announcement of the reprinting of Robert Rollock’s Select Works this week. That is good news – assuming people will read Rollock as opposed to letting him gather dust on their shelves! This has spurred me on to post some things from Rollock, who has long been recognised as an important figure in the development of Covenant theology e.g. Sherman Isbell notes, “Rollock was a seminal early exponent of covenant theology in Scotland” (Dictionary of Scottish Church History and Theology, p726). Rollock makes certain key points when discussing the free offer of the gospel. They will be familiar to long term readers of the blog. Rollock emphasises the centrality of the free offer of the gospel for the ministry and preaching. He noted that the “frail and poor creatures” who hold “such a high, excellent, and glorious office” are “to offer salvation to them who before were condemned and castaways… to the end that the gospel and the promises of mercy may profit and edify them.” (Sermon XVII in Select Works, 1:531). This is expressed elsewhere in the direction “that they in their ministry might declare, and make manifest the gentleness and long-suffering of God towards all men…” (Of the Resurrection of Christ in Select Works, 2:532). Rollock distinguishes the free offer of the gospel and the effectual call which cannot be resisted, as he notes “the promise of the covenant, which is offered unto us in Christ, is of the mere grace of God… [this] grace may be called the grace of our vocation; this grace is common to all that are called, elect and reprobate.” However, there is also “grace in our effectual calling [which] may be called the grace of faith, appertaining only to the elect; for it is given only to those that are predestinated to life everlasting to believe.” Rollock explains in more detail, “For whereas there is a double mercy of God in our effectual vocation, to wit: First, an offering of Christ with all his benefits in the covenant of grace, or the Gospel ; secondly, faith to receive Christ being offered, (under faith I comprehend hope and repentance, which follow faith), therefore, in our effectual calling two graces must be understood ; the grace of our vocation, or of offering Christ unto us, and the grace of faith, or of receiving Christ by us.” (Rollock, Select Works, 1:269-71). Note Rollock’s identification of the external offer with grace, which even the reprobate receive. Rollock affirms that the free offer of the gospel is not an offer that is just presented to men in general, rather it is a specific offer and conditional promise to each hearer: “… it is to be noted of this object of faith, that it is special, that is, offered to me, to thee, and to every man specially and distinctly.” So although it is true that “the promises and sentences of the Gospel be conceived generally, yet it is certain, that they are to be received particularly by every one, as if they were spoken to every one in several… the promise of the Covenant of Grace is conceived generally… but it is to be understood particularly and singularly by every one, as if it had been spoken to me, or to thee.” This particular offer is important for assurance: “For seeing mercy is offered particularly to thee and to me, &c., and I again assent particularly to it; now am I certain of that mercy that it is mine specially, seeing I do already by faith and special application possess it.” (Rollock, Select Works, 1:197,214,217). Hopefully that has whetted your appetite for Rollock’s Select Works. They are well worth purchasing. Thomas Manton is one of my favourite Puritans. I never tire of reading his works, though I have a bit of a way to go before I have read them all – there are 22 volumes of them! Manton was a hugely influential Puritan and well worthy of study. There seems to have been a comparative lack of academic interest in Manton. For instance in the Index to British Theses a search for John Owen turns up 18 results, Richard Baxter 19 results, Thomas Goodwin 8 and Thomas Manton 0. That simply does not come close to representing the relative importance and abilities of these four men. Where works have mentioned Manton they have sometimes incorrectly attempted to identify his theology with that of Baxter. David Field in his recent work on John Howe helpfully counters this. Field notes Manton’s respect for Baxter, “[Manton] was himself a fervent admirer of Baxter, considering himself not worthy to carry Baxter’s books after him.” (David Field, Rigide Calvinisme in a Softer Dresse: The Moderate Presbyterianism of John Howe Edinburgh: Rutherford House, 2004, 169). Given the amount Baxter wrote I don’t think he could have carried his books even if he wanted to! Now the fact that Manton admired Baxter does not necessarily mean Manton shared Baxter’s controversial theology – even Durham, who used Baxter as an almost constant sparring partner, recognised his learning and gifts. Indeed Field correctly notes regarding Manton that, contra Baxter, “… his treatment of justification is fully in line with the Westminster Confession… and he strongly asserts particular redemption over against an Amyraldian understanding of the atonement.” (Field, Rigide Calvinisme, 169). With Manton’s “orthodoxy” out of the way I now want to turn to his exposition of Ezekiel 18:23, “Have I any pleasure at all that the wicked should die? saith the Lord GOD: and not that he should return from his ways, and live?” This is found in two sermons in volume 21 of his works. There is so much in here I can’t cover it in one blog post but I hope to give a flavour of his exposition of this glorious verse. There is nothing so necessary to draw us to repentance as good thoughts of God. In the first temptation the devil sought to weaken the reputation and credit of God’s goodness… as if he were harsh, severe, and envious in restraining them from the tree of knowledge… In the bosom of the church this conceit possesseth many men’s hearts, that God is harsh and severe, and delighteth more in our ruin than salvation… Oh, what a monstrous picture do men draw of God in their thoughts, as if he were a tyrant, or an inexorable judge, that gave no leave for repentance, or left any hope of pardon to the guilty. [Manton’s paraphrase of Ezek 18:23] Ye know it is evident that I have no such desire, no such pleasure. It dareth not enter into your thoughts that I should take pleasure in the bare destruction of the creature. And as God is a merciful God, and loveth all the creatures which he hath made, so their life is more pleasing than their death; a thing more acceptable in itself to such a being as God is. That the repentance and salvation of the wicked is more pleasing to God than their death and destruction…. It is not all one to God whether ye repent or no… Our prejudices against God’s nature are so deep and inveterate that he needeth to interpose an oath. Now Manton is aware that what he is saying naturally raises some questions e.g. If what you are saying is true, why are the majority of people unbelievers? Does that mean that God is unable to work out his pleasure? Manton responds in three ways. First, he notes that he is speaking “comparatively” not “absolutely”. Of course, God “rejoiceth in the execution of his justice… but if you compare things with things he rejoiceth rather in acts of mercy than in acts of vengeance.” Manton goes on to say in typically picturesque Puritan language, “Mercy, like live honey droppeth of its own accord. He is forced to the other [judgement]; it is wrested from him. Though the properties are equally infinite in God, yet they do diversely exert themselves towards men as to the effects. Now the world is on trial. God’s primary end is the conversion of the sinner; his second end the honour of his vindicatory justice.” (Works 21:465). Manton’s last comment reflects the typical Reformed view that it is only per accidens (by accident) that the Gospel brings condemnation. That is not its nature or end. Secondly, Manton distinguishes between the secret and revealed wills of God. He distinguished between God’s “liking and approbation” which is the revealed will and the “choice and resolved pursuit” which is the secret will. So “God may be said to like the salvation of all men, yet not to intend it with an efficacious will.” According to the revealed will we are at liberty to say that “He is unfeignedly pleased with the salvation of men”. (Works 21:465). Manton comments elsewhere, “Some scoff at this distinction, but the thing is as evident as daylight.” (Works 18:227). Thirdly, Manton distinguishes the various ways God is related to us. First, we are related to God as he is our sovereign Lord. Here we are speaking of God’s sovereign will, his secret will and therefore we must note that “so God willeth not the salvation of all”. That is to say he has not decreed it. Now what we have here is a classic illustration of the dangers of “proof texting” from theologians. If you went to Manton with the intention of proving that God does not will the salvation of all men, well there you have it. But a couple of paragraphs earlier he had said that God does will the salvation of all men. So the actual truth is that Manton does and does not believe that God wills the salvation of all men – it depends in what sense you are speaking. Too often internet (and print!) polemics against the free offer ignore these distinctions and so make men like Manton and Durham stand on their heads. Second, we are related to God as lawgiver where he tells us his “desire”. Here we are dealing with the revealed will. Thirdly, we are related to God as judge who does in this respect take pleasure in the execution of his justice. Applying these to the free offer of the gospel Manton notes it is God as lawgiver, that is God as revealed, that we have to do with. As revealed in the gospel God “did that for us which he was not bound to do, namely, in that he did provide us a Saviour, and open a door of hope for us… and call us to repent and believe in Christ, even every creature… with a promise of pardon, life, and salvation… he manifesteth the more grace and goodwill to our salvation, and that he is more ready to pardon than punish…” (Works 21:466-7). Manton then moves on to argue that it would be “contrary… to the nature of God” to simply desire the (eternal) death of men. Manton bases his arguments on God’s wisdom, goodness (“They were accounted monsters of men that glutted their eyes with cruelties; and can we imagine that God will make sport with the eternal ruin of his creatures.” Works 21:467) and mercy (“Therefore we ought to conceive of him that he can have no pleasure in our death, for mercy is an attribute that inclineth God to succour them that are in miseries. How then can our destruction be more acceptable to God than our salvation?” Works 21:468). God warns men that they are sinners. God has provided a “redeemer”. It is probably on the basis of sections like this that Manton’s position on the extent of the atonement gets questioned. Manton makes his position on the extent of the atonement clear in his sermon on Is 53:6 where he explains what he means by seemingly universal statements (Works 3:328-331). “With what passionateness and meltingness of expression he wooeth me to return… such an affection God beareth to us that he expostulates, prayeth, entreateth that we would return and be reconciled.” Manton cites Deut 5:29, Hos 11:8, Is 57:16, Ps 81:13, Matt 23:37, Luke 19:42. It is interesting that Manton relates Christ’s weeping over Jerusalem to God rather than just to the human nature of Christ. God has, 2 Cor 5:20, “appointed men in our nature to offer you mercy”. God is merciful to all in providence. God welcomes all who turn to him. There you have a typical Puritan exposition of the theological underpinnings and evidences for the free offer of the gospel. As an aside Manton held to a universal application of 1 Tim 2:4: “It is the will of God’s pleasure that they ought to seek after an interest in Christ. So it is said, 1 Tim. 2:4, ‘God will have all men to be saved, and to come to the knowledge of the truth;’ voluntate praecepti, by the will of his command: and by virtue of this we are bidden to preach the gospel to every creature… God is serious and in earnest in these offers and publications of Christ to all. That he mocketh no man you shall see: do but try him, accept him, and he will be as good as his word. It is not made to you fraudulently, and with an intent to deceive, but God is serious. God is bound to no man, and wicked men refuse him out of their own perverseness. And indeed we should rather admire his mercy that he giveth Christ to any, than quarrel at his justice that he doth not give him to all.” (Works 3:224). Next week I’ll post something on Durham’s essay on the extent of the atonement where, among other things, he criticises William Twisse for his views on the extent of the atonement. Yes, you read that right, Durham criticises the Prolocuter (Chairman) of the Westminster Assembly for his view of the extent of the atonement! If you want to know why you’ll just have to wait until next week. I’ve covered Rev 3:20 a few times on the blog, but it is a very important verse for understanding the free offer of the gospel in the C17 and so I don’t apologise for posting on it again. This week I’ll share some of my notes on Obadiah Sedgwick’s work The Riches of Grace Displayed In the offer and tender of Salvation to poor Sinners (London, Printed by T.R. and E.M. for Adoniram Byfield at the Bible in Popes head Alley near Lumbard Street, 1657). It is a classic Puritan study of Rev 3:20. Sedgwick (1559/1600-1658) was an active member of the Westminster Assembly and a Presbyterian. 1658 is the same year that Durham died. 1) Have you ever heard a preacher say “Christ is more willing to save you, than you are to be saved” and secretly winced and muttered “Arminian” under your breath? Hear Sedgwick, “What is meant by Christ’s standing at this door… Christ is a thousand times more willing to come to thee, than thou art to come to Christ…” p4-5. He also speaks of Christ’s “earnest desire” for admittance p5. 2) Rev 3:20 in its context is addressed to “a company of meer hypocrites” p13. They were “a most destitute people: not a dot of goodness, nor any one rag of grace, nor good in any one part…” p14. You get the picture. Rev 3:20 is addressed in its original context to the unsaved. Given this is what they believed is it any wonder that the Puritans applied this text evangelistically? 3) How does Christ address these unsaved hypocrites? Unspeakable condescension – he begs! “Yet at their doors does Christ stand and knock, He begs at the doors of beggars, mercy begs to misery, happiness begs to wretchedness, riches begs to poverty…” p15. 4) Sedgwick poses the question, “He [Christ] hath stood at our doors more than one day or night, more than one week or two, more than one year or two, more than twenty years or two. Would he do this if he were not willing to come in and save us?” p22. It is not “unreformed” to speak of Christ’s willingness to save sinners. 5) Sedgwick pointedly applies the text to unbelievers: “The first use shall be a reproof unto all such who do shut the doors against Jesus Christ, against a willing Christ, a saving Christ, a Christ that stands and knocks… they are guilty of the greatest sin in the world, they despise the greatest, the kindest, yea, the only salvation of their souls.” p28. They are guilty of rejecting Christ’s “offers” p30. 6) Sedgwick believes that an inability to see the willingness of Christ to save sinners is the root cause why many refuse to come to Christ even though they see that they are sinners: “The truth is, all that the troubled soul urgeth… is the questioning of Christ’s willingness to save it; All those objections of greatness of sinnings, of want of deeper humblings, and want of holiness, of long resistances… Arise from this suspicion, Christ is not willing to save sinners…” p33. That is why the free offer of the gospel is so important pastorally. 7) Sedgwick comments that “Jesus Christ waits long upon sinners, and earnestly labours with them for entrance and admission”. p37. Two examples Sedgwick gives of this are Christ’s thirty years in the flesh knocking upon the hearts of the Jews, and Noah preaching for one hundred and twenty years before going into the ark. Of course, in both these instances, the knocking was rejected which confirms that Sedgwick believes Rev 3:20 applies to unbelievers who ultimately refuse to come to Christ. 8 ) The free offer in Rev 3:20 is an expression of love. “What do these passages hold forth, but the great love of Christ, the long expectation of Christ, the earnest importunity of Christ with sinners to come and be happily conjoined with him.” p38. 9) Christ is sorrowful when his offer is rejected. “Christ hath stood at thy doors, with commandments in one hand, and with entreaties in another hand, he hath stood at thy doors with promises in his mouth, and with tears in his eyes; he hath stood at thy door with heaven in his fingers, and sorrow in his soul; with arms of mercy to clap thee, if thou openest; with floods of compassion to bewail thee, if thou refusest” p44-45. 10) Now in all this are we only speaking of Christ as man? Where does the divine nature come into this? “Christ is God, and because he is God he is merciful, willing to show mercy to sinners in misery, and unwilling to destroy them… God is a long-suffering God, and so is Christ; He is a much-suffering Christ, and a long-suffering Christ. 2 Pet. 3.9 The Lord is long-suffering to us-ward, not willing that any should perish, but that all should come to repentance. It is the greatest of mercy to be willing to pity or pardon sinners, and it is the greatest of goodness, to offer help unto them, And it is the greatest of patience to wait long on them.” p49-50. Note the universal application of 2 Peter 3:9. 12) Sedgwick believed that the “offer” is equivalent to a “beseeching” and that every hearer of the gospel has a duty to receive Christ. p57. 13) The free offer comes to all who hear the gospel, not only to “sensible sinners” for: “There is a latitude, a full latitude in the offer of Christ and grace: No sinner (under the Gospel) is excluded by Christ, but by himself. Although the Application of Christ be definite and particular, yet the proclamation is indefinite and general…” p76-7. There is lots more in Sedgwick but I’ll stop here. How typical is Sedgwick in all this? Well the evangelistic application of Rev 3:20 was standard C17 fare and most of his language quoted above could have come from any host of C17 Reformed preachers/theologians, including Durham. On some things e.g. the correct exposition of 2 Pet 3:9 there would be differences but overall what I’ve quoted above is pretty unexceptional stuff for the C17 Reformed. Next week I’ll probably post on Manton’s exposition of Ezek 18:23. Lots of important stuff in there. I had originally hoped this week to post some more Durham material, then I thought I would post some material on Robert Bolton but I haven’t managed to get either of these ideas into shape. So I’m going to post further material from J.I. Packer’s essay, “The Puritan View of Preaching the Gospel,” How Shall they Hear, Puritan & Reformed Studies, 1959, p11-21 (See note 1). If we do not preach about sin and God’s judgement on it, we cannot present Christ as a Saviour from sin and the wrath of God. Packer is making a vital point here. Only against the scriptural teaching on sin does the glorious truth that a Saviour is offered to us have any meaning. Of course sin is not a popular word in our culture. Has the culture influenced the pulpit? Are sin and God’s judgement on sin preached in proportion with the weight given to them in scripture? If the doctrines of total inability, unconditional election and effectual calling are true… Are we indeed entitled to make a ‘free offer’ of Christ to sinners at all? Packer here highlights a potential dilemma. Is ‘Calvinism’ compatable with the free offer of the Gospel? How does he answer this dilemma? The answer is twofold. First Packer laments that some have taken the free offer to be incompatable with “Calvinism”. Packer regards this as tragic – so do I. Speaking of the 1950’s and the return to “Reformed theology” Packer noted that because of this “many… have ceased to preach evangelistically.” What a tragedy and what a misunderstanding of the implications of Reformed theology! And yet, is the situation in Reformed churches much different today? What proportion of Reformed churches habitually preach evangelistically? In this situation, we return to the Puritans for further guidance. Well this was a “Puritan and Reformed Study Conference” so his basic response is not primarily Scriptural but historical. What light does Packer glean from the Puritans? The Puritans did not regard evangelistic sermons as a special class of sermons, having their own peculiar style and conventions; the Puritan position was, rather, that, since all Scripture bears witness to Christ, and all sermons should aim to expound and apply what is in the Bible, all proper sermons would of necessity declare Christ and so be to some extent evangelistic… The only difference was that some sermons aimed more narrowly and exclusively at converting sinners than did others. I covered this last week. Packer’s basic point is that historically the Puritans (“Calvinists”) were passionate proponents of the free offer of the gospel – so it is a grand mistake to think that “Calvinism” and the free offer are incompatable. Observe how much they [the Puritans] took the word ‘gospel’ to cover. It denoted to them the whole doctrine of the covenant of grace… Thus, to preach the gospel meant to them nothing less than declaring the entire economy of redemption, the saving work of all three members of the Trinity. But we should not be mistaken. Puritan evangelistic preaching was not minimalistic. It could not be summed up by “God has a wonderful plan for your life if only you let him”. No, for the Puritans gospel preaching was preaching the full counsel of God. The Puritan view was that preaching ‘gospel sermons’ meant teaching the whole Christian system – the character of God, the Trinity, the plan of salvation, the entire work of grace. To preach Christ, they held, involved preaching all this… In this way, they would say, preaching the gospel involves preaching the whole counsel of God. Nor should preaching the gospel be thought of as something confined to set evangelistic occasions, as if at other times we should preach something else. If one preaches the Bible biblically, one cannot help preaching the gospel all the time, and every sermon will be, as Bolton said, at least by implication evangelistic. They [the Puritans] stressed the condescension of Christ. He was never to them less than the Divine Son, and they measured His mercy by His majesty. They magnified the love of the cross by dwelling on the greatness of the glory which He left for it. They dwelt on the patience and forbearance expressed in His invitations to sinners as further revealing his kindness. And when they applied Rev. iii. 20 evangelistically (as on occasion they did), they took the words ‘Behold, I stand at the door and knock’ as disclosing, not the impotence of his grace apart from man’s cooperation (the too-prevalent modern interpretation), but rather the grace of His omnipotence in freely offering Himself to needy souls. This is a point that has struck me in reading Durham and his contempories. They dwell so much on the condescension of Christ in offering himself freely to sinners. Packer’s explanation of the Puritan view of Rev 3:20 is very helpful. My only caveat is that it was more than just “on occasion” they applied it evangelistically. The persons invited and commanded to believe are sinners, as such. The Saviour is freely offered in the gospel to all who need Him. The question of the extent of the atonement does not therefore arise in evangelism, for what the gospel commands the unconverted man to believe is not that Christ died with the specific intention of securing his individual salvation, but that here and now the Christ who died for sinners offers Himself to this individual sinner, saying to him personally, ‘Come unto me… and I will give you rest’ (Mt. xi. 28). The whole warrant of faith – the ground, that is, on which believing becomes permissible and obligatory – is found in this invitation and command of the Father and the Son. Returning to his original question about the compatability of “Calvinism” with the free offer Packer now touches on the extent of the atonement and the warrant of faith. His explanation is sound and helpful. The truth is that to all the Puritans it was one of the wonders of free grace that the Lord Jesus Christ invites sinners, just as they are, in all their filthy rags, to receive Him and find life, and they never waxed more impassioned and powerful than when dilating on what John Owen, in his stately way, calls ‘the infinite condescension, grace and love of Christ, in His invitations of sinners to come unto him, that they may be saved.’ (John Owen, Works, 1:422). May the Lord of the harvest be pleased to send forth many labourers into his harvest field who would be as impassioned and powerful in preaching the free offer of salvation as the Puritans were. The fields are ripe for harvest, but those who labour as Puritan preachers laboured, appear to be few. When I quote from John Owen I don’t endorse his views on church government (independency). Similarly, when I quote Packer here I don’t endorse his position on Evangelicals & Catholics Together or his ecclesiological differences with Dr D. Martyn Lloyd Jones. I’ll start this post by noting that Durham’s Sermons on Isaiah 53, Christ Crucified, have been reprinted by Naphtali Press. John (Rabbi) Duncan described reading Durham’s sermons on Is 53 as akin to “eating the flesh and drinking the blood of Christ”. They are excellent sermons and contain much that is good for the soul. So go and buy them! In this post I’m picking up on Durham’s sermon on Matt 22:4, Gospel Presentations are the Strongest Invitations. This sermon is found in The Unsearchable Riches of Christ, Rept. Morgan: Soli Deo Gloria, p43-79. For the three previous posts on this sermon see, here, here and here. God the Father, and the King’s Son the Bridegroom, are not only content and willing, but very desirous to have sinners come to the marriage. They would fain (to speak with reverence) have poor souls espoused to Christ. Towards the end of the sermon Durham comes to consider some objections his hearers may have had to accepting the free offer of the gospel. They centre on our inability, and election. How does Durham deal with these issues pastorally? ANSWER. Does not the covenant provide an answer to that also? It calls for nothing but your subscribing … It comes to this, “yes” or “no”. And if you say that you cannot say “yes” in faith … is there not a promise of grace that though your hand is, as it were, withered, if you attempt it, you shall be enabled to stretch it forth? This is an objection from our inability to come to Christ. “I would come to Christ but I am dead in trespasses and sins so I can’t come.” Durham answers by pointing us to the example of the man with the withered hand (Luke 6:10). Could he stretch forth his hand? No. Was he commanded to? Yes. Did he argue with Christ about this – why have you asked me to do something I can’t do? No. He just went ahead in obedience to the command. This should be our pattern. What more do you have to say? Lay out your objections. These words “all things are ready” will answer them all. The garment is ready to be put on, yea, Jesus Christ is your wedding garment; take and put Him on. He is the cure for all your diseases; apply Him for the cure of them all. To paraphrase Durham – There is no objection you can come up with but it is answered by “all things are ready”. ANSWER 3. Is there anyone who can say that the offer or the refusal of the match depended on this? If any of you will say, “Because I was not elect, He refused me,” then He will answer, “How often would I have gathered you.” And no more ground for sentencing professors of the gospel to destruction will be needed than this: “Man, woman, you had the offer of the gospel and refused it; therefore go to your place.” He will not judge according to the decree of reprobation, but according to His call and your dislike to it. This is the objection – I don’t know if I am elect or not. Durham answers this in three ways. First he points out that we don’t look to God’s secret decree in any other aspect of our lives. We don’t ponder over our meals and think – I’m not sure I should eat this, maybe God hasn’t decreed that I should have a meal tonight. Durham reasons – if we don’t meddle with God’s decree in all other aspects of our life then so it should be with our salvation. We are to look to the revealed will of God which is that we should come to him for salvation. Second he points out that no one ever knows they are elect until after they believe. To say I won’t believe until I know I am elect is, for Durham, to put the cart before the horse. Third Durham protests that we will not be condemned for being a reprobate, but for unbelief. Well then, what is the sum of the matter? This is our commission to you today. We tell you that the King has made ready for the feast; yea, all things are ready. Come, then, and let there be no more debate about the matter … Only deliver up yourself to Him, and, in the Lord’s name, I tell you that you shall be dearly welcome. I’m not sure what I’ll post on next week. I’ve been wandering in the bypath meadow of secondary scholarship on 17th century Scottish theology recently and there is not much edifying in there to post on. I’m off on holiday this week so it will be Monday again when I post – or possibly even Tuesday. This week I’m going to take a look at the free offer of the gospel and related themes in a Scripture Commentary known as the Westminster Annotations. 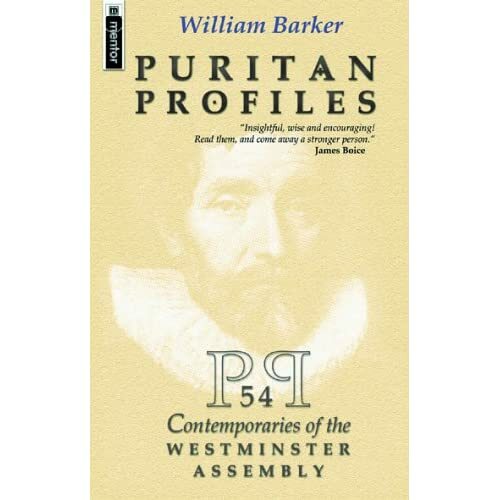 This is essentially a Bible commentary produced by members of the Westminster Assembly and other Puritans (6 of the 11 known contributors were Westminster Assembly members). William Barker in his book on the Puritans notes that the contents of these annotations can help us understand the Westminster Standards better. Some of the comments are rather brief and led good Mr Spurgeon to complain in his commenting and commentaries that, “The notes are too short and fragmentary to be of any great value”. In one sense he is correct but they are still useful – especially for the student in historical theology! He is bountifull to good men and bad, Matth. 5. 45. 1 Tim. 4 .10, yea to the beasts, Psal. 36 .6. The annotations clearly teach God’s universal goodness. He describeth after what sort God showeth himself to all his creatures, though our sins have provoked his vengeance against all: he shows himself mercifull, not onely in pardoning the sins of his children, but also in doing good to wicked men, albeit they feel not the sweet comfort of Gods benefits. God shows himself to be merciful in doing good to wicked men. Sadly they do not acknowledge this. God is more ready to pardon sinners than to punish them! The evidence for this is his long suffering. We are to be like God who does good to wicked men. Uses “invited” for the gospel call. Again we see the gospel offer is more than a command – it is an invitation. He speaketh of his humane and ministeriall will; for his divine will could not be resisted by them. See also Calvin’s comments where he clearly attributes Christ’s words to the Divine nature – “Christ, speaking in the person of God”. The Westminster Annotations, despite the poor exegesis of Christ’s lament over Jerusalem, do not commit the hypercalvinistic blunder of making the rich young ruler whom Christ loved elect. They freely confess Christ loved this man and yet he “lost heaven” i.e. was never saved. This comment on John 3:16 is fascinating. All it says is mankind. This calls for some comment. Is the author here taking John 3:16 universally as John Calvin, John Ball and in later times Thomas Boston and Robert Dabney do? Quite possibly. Other Puritans of the time did e.g. Thomas Manton. The Scottish Church at the time of the Westminster Assembly had, I think, settled on the view that John 3:16 pertained to the elect. Rutherford and Gillespie argued for their position at the Westminster Assembly. In England I don’t think the position was quite so clear cut (e.g. Manton). What makes this especially interesting for me is that John 3:16 is one of the proof texts used by the Assembly for the free offer. Also interesting is that John Ley who wrote the commentary on the Gospels was a member of the Westminster Assembly. What is confusing though is that he also wrote the comments on Christ weeping over Jerusalem above. By as much as appeareth unto us by his will revealed in the Gospel, he excludeth none by name, neither nation nor condition whatsoever, Matth. 28. 19. Mark 16.15. Or, all, may be taken, not pro singulis generum, but pro generibus singulorum. This is the exposition of God, who will have all men to be saved and come to the knowledge of the truth. The first option given above is that this text speaks of the revealed will of God in the gospel. Alternatively, we could take the text not as speaking of all individual men, but rather as all classes of men. In which case the will spoken of here would be the will of decree. Interestingly, George Gillespie seems to call the first position that we take this verse as speaking pro singulis generum “Arminian” in his “Treatise of miscellany questions”. I’m not sure what the Westminster Assembly divine who wrote these comments (Daniel Featley) would make of that! As an aside, the annotations clearly state that when we read in v6 who gave himself a ransom for all we are to understand all as “all that do believe in him”. …or towards mankind, of which number we also are… Not any at all; by his directing and approving will, Ezek 33:11… Or, he speaks of God’s approving will, whereby he likes of repentance in any. The two standard reformed interpretations of 2 Peter 3:9 are given, namely that it can be read as an decretive will so that “all” are the elect or that it is the revealed will being spoken of so “all” really are all. [Christ knocks] At the door of men’s consciences, both by outward means and inward motions, Psal.16.7 as one desirous of admittance; Cant.5.2. Again we see Rev 3:20 taken evangelistically. Also note that Christ, when he knocks on our hearts with the gospel, is desirous to come in. The gospel offer is no fraud or sham. It is well meant. Next week I’ll probably pick up on Durham again and finish off the sermon on “Come for all things are ready”. I am going to be very busy next weekend as I will be delivering three talks at our Church’s Young People’s Weekend Away. Bear with me then if I post on the Monday rather than the usual Saturday! This week I’m looking at the views of John Brown of Wamphray (1610-1679) – has one name ever belonged to so many good theologians? (John Brown Covenanter Martyr, John Brown of Haddington, John Brown of Whittburn, John Brown of Edinburgh). The Dictionary of National Biography notes “Brown was respected by several theologians of his day: as early as 1637 Rutherford noted that he ‘saw Christ in [Brown] more than in his brethren’ (DSCHT, 98). Robert Wodrow referred to him as a man of ‘very great learning, warm zeal, and remarkable piety’ (Wodrow, 1.304).” He was well respected in Scotland and also spent many years as an exile in Holland so is an interesting connection point with continental theology. Of Brown’s works only one has been reprinted today Christ, the Way, and the Truth, and the Life. It seems to have had various publishers and the Soli Deo Gloria seems out of print. It is available here with a very tasteful cover! What follows are his views of the free offer of the gospel. Again I’ve read the sources and I think I’m representing him fairly but any corrections are welcome. Brown, John. Christ, the Way, and the Truth, and the Life. Or a Short Discourse. Pointing forth the way of making use of Christ, for justification, and especially and more particularly, for Sanctification in all its parts from Johan. XIV; Vers. VI. Rotterdam: Printed by H.G. for John Cairns, book seller in Edinburgh, and to be sold there, 1677. Is it not a wonder that such an all sufficient Mediator, who is able to save to the uttermost all that come to God through him, should be so little regarded and sought unto, and that there should be so few, that embrace him, and take him as he is offered in the gospel. Brown, as a Reformed theologian, had no difficulty with the concept of the gospel as an offer. It is standard reformed terminology. … we Judge not the want of these requisites a ground to excuse any, that heareth the gospel, from the obligation to believe & rest upon Christ, as he is offered in the gospel. Again it is simply not true that Scottish theology was “preparationist”. Yes Scottish theologians would talk about the necessity of conviction of sin (rightly) but, regardless of whether this was present, the duty to come to Christ was the same! Note of course Brown believed in our obligation or duty to believe savingly on Christ – he believed in duty faith. The soul must know, that He [Christ] is not only an able and sufficient mediator; but that also he is willing and ready, to redeem & save all that will come… Therefore it is necessary that the soul conceiveth not only a possibility; but also a probability of help this way; and that the dispensation of the gospel of grace, and the promulgation and offer of those good news to him, speak out so much that the patience of God waiting long, and his goodness renewing the offers, confirmeth this, that his serious pressing, his strong motives on the one hand, and his sharp threatenings on the other… his expressed sorrow & grief over such as would not come to him, his upbraidings & objurgations of such, as do obstinately refuse, and the like, put his willingness to save such as will come to him, out of all question… [there is] no impediment lying in the way, but their own unwillingness. Brown here discusses what sinners need to know before they will come to Christ. First we need to know the sufficency of Christ to save us from our sins, second we need to know that God is willing to save all that come to him. How are we to know God is willing to save us? Well we live in a dispensation of grace where the good news of the gospel is offered to us. This speaks to us of God’s patience and goodness to us. But more than this we know God’s willingness to save all who come to him because he expresses grief and sorrow over those who do not come. There is no reason that we will not be saved but our own unwillingness. [Those who reject the gospel] as to them, all Christ’s entreaties, motives, allurements, patience and longsuffering, his standing at the door and knocking, till his locks be wet with the dew &c. are in vain: yea they are contemptuously rejected, despised, slighted, & undervalued. Again note Brown uses Rev 3:20 evangelistically. Also important is Brown’s description of the gospel offer – it is an entreaty, an allurement. Again, and I seem to say this every week, it is not simply a command, a statement of facts – it is so much more. This discussion of the warrant of faith is important. What is our warrant? Our need, Christ’s sufficiency, that he is offered in the gospel, and that God has sent ambassadors in his stead to beseech sinners to come to him. Again the offer and promise comes to all. The free offer of the gospel is an expression of the goodness of God. God is good to all. There is no denial of God’s goodness and favour towards those who are impenitent. This general goodness is not to be confused with God’s peculiar goodness to his people. Nevertheless God’s general goodness is a testimony and ground of hope that he will accept all who come to him. Ministers are to desire the salvation of all their hearers. Oh that many would feel this within them and preach with according love and passion! God’s invitations are tender and affectionate. Note the language Brown uses “as a loving father or mother stretcheth out their arms” to their children. Sure this is a metaphor – but it is one designed to convince of his tender affection and long suffering to those who reject him. First Brown argues that the Westminster Confession explicitly teaches definite (particular) atonement in 3.6, 8.1, 8.5, 8.8. Many try to make the case that the WCoF does not explicitly rule out belief in a universal atonement. What is interesting here is that a well respected theologian at the time of the assembly insists that it does. Second Brown’s first argument for definite atonement is from the covenant of redemption. Thirdly Brown contra Calvin and others I noted last week limits John 3:16 to the elect. Fourthly Brown commends Durham’s discussion of limited atonement in his commentary on Revelation calling him “learned & solid”. Fifthly there is a comment of Brown’s that needs explanation. He criticises an Amyraut like positing of an “antecedent will for the salvation of all… as if God could not effectuate whatever he desired, or could not have a velleity towards anything, which either he could not or would not effectuate”. The key word here is velleity which means an incomplete volition. For Brown and Ball, as we saw last week, we cannot tie desire to intention. What God intends he does. That is not to say Brown would have a problem with the use of desire in general when referring to the revealed will of God in the gospel. As we have seen repeatedly Durham doesn’t, so I don’t imagine Brown would either.